The first Tuesday of each month brings another “Newbie Tuesday” session to the Night School class schedule as the racing industry’s national online fan education program reaches out this week to entry-level horseplayers and fans. This Tuesday’s 90-minute program gets under way at 8:30 p.m. ET and will feature “The On-Track Experience” as it pertains to newcomers in racing. The Night School team has been busy in recent weeks working on-track with racing fans during Monmouth Park’s Haskell Invitational weekend, the Meadowlands’ Hambletonian and Saratoga Race Course’s Whitney Invitational weekend. Those Night School Tour experiences have provided much feedback as to what the newcomer faces when visiting the racetrack, and the lesson plan Tuesday will share many of those ideas and solutions. This week’s Night School will be co-hosted by Jeremy Plonk and Joe Kristufek along with Caton Bredar, and will feature videos from recent Night School Tour on-track visits and fan testimonials. Another “After Night School Special,” featuring live racing from Mountaineer Park, will follow on Tuesday from 10:00-11:00 p.m. ET. The segment will cover the late daily double in real time with free, live-streaming video and complimentary Daily Racing Form past performances. 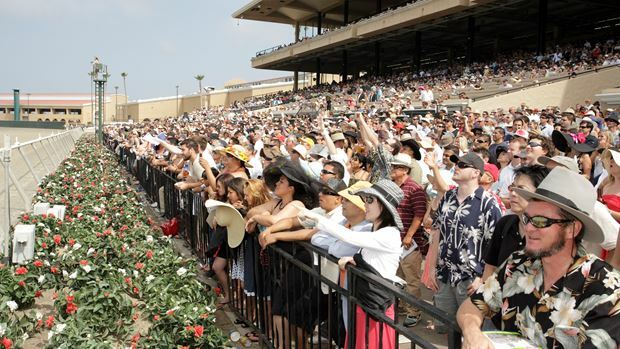 The Night School curriculum returns to specific handicapping topics next week when the Aug. 14 lesson will focus on “Turf Handicapping” as fans ready for Arlington Million Week. A special Arlington Million Handicapping Camp seminar also will be offered on Thursday, Aug. 16 beginning at 8:30 p.m. ET. Presenting title sponsors for Night School are the National Thoroughbred Racing Association, American Quarter Horse Association, Keeneland, Churchill Downs, Inc. and Daily Racing Form. Tuesday’s session will be the 27th of 40 Night School lesson plans throughout the 2012 season, which continues through November.